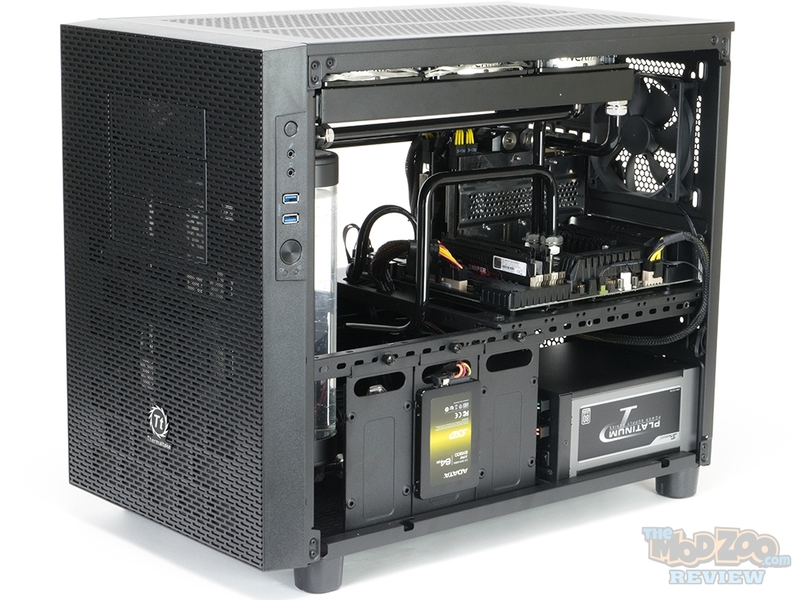 The Thermaltake Core X2 is the Micro ATX addition to Thermaltake’s Core X series. It is considered a “Cube Chassis”, and has quite a lot of room. If you’re looking for a compact Micro ATX case, go somewhere else. This is definitely aimed at the enthusiasts who want to cram a lot of gear inside their case. To further emphasize this, the Core X2 can also be stacked by removing the feet, top panel, and a bottom plate to create even more space for whatever you might want. It is by no means a small case, and that is something that should be considered. It may be little obtrusive if you plan to put it on a smaller desk. It’s a beast of a case, and can get heavy quick. The retail price is $129.99 from Thermaltake, but can be found at Newegg (at time of review) for $115.99 with an additional $20 mail in rebate.